No 97 Dun na Coiribe. Sherry FitzGerald is offering to the market No 97 Dun na Coiribe, Headford Road, Galway, for sale by private treaty. No 97 is a large, bright, three bedroom duplex townhouse presented in very good decorative order. The property benefits from a large rear balcony overlooking communal gardens and offers excellent owner occupier or investment potential. Size is 101sq m (1,090sq ft ) approximately. The property has entrance hall with guest wc, kitchen/dining area with front and side aspect windows, and a rear living room with access to private balcony overlooking communal gardens. On the first floor there are three bedrooms, all complete with built-in wardrobes with master en suite and main bathroom. The BER is C3 on BER cert no 107700684, with an energy performance indicator of 224.72kWh/sq m/yr. The development is in an excellent location close to the city centre within easy access of all amenities and services. The complex is very well maintained with mature communal gardens and communal parking. 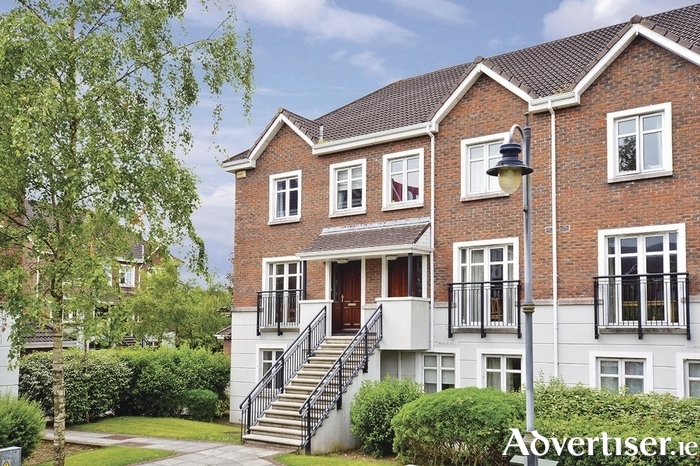 Asking price is €247,500 and viewing is highly recommended.